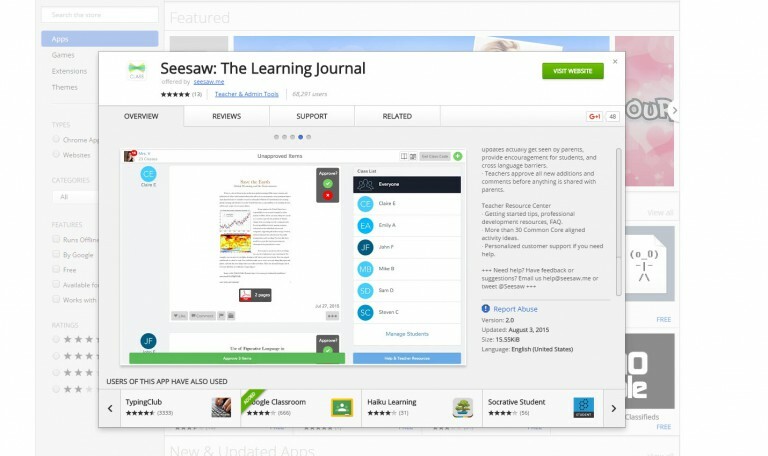 You can download SeeSaw at the Chrome Web Store! Have your students create accounts in SeeSaw and start their portfolios. They can begin to “show what they know” by adding their photos, videos, drawings, PDFs, etc. Upload a screenshot of one of your students portfolios.